California utility PG&E is filing for bankruptcy protection over its alleged role in sparking wildfires in the state. It's been called history's first climate change bankruptcy, and journalist Courtenay Brown says it likely won't be the last. Pacific Gas & Energy could be the first company to file for bankruptcy due to climate change. 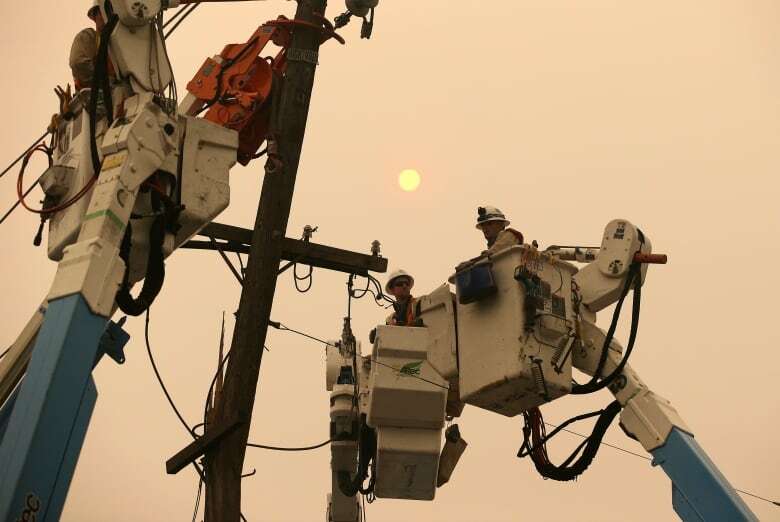 The utility provides services to northern California, and their equipment has been blamed for sparking the deadly Camp Fire that devastated the state in 2018. "[PG&E] say that these fires in California are getting more destructive. They're getting worse. They're getting deadlier and that's the reality of climate change," said Courtenay Brown, a journalist for news website Axios who reported on the company. The company announced their decision to file for Chapter 11 bankruptcy last Monday. Analysts estimate they could face up to $30 billion US in liabilities as a result of the blazes. 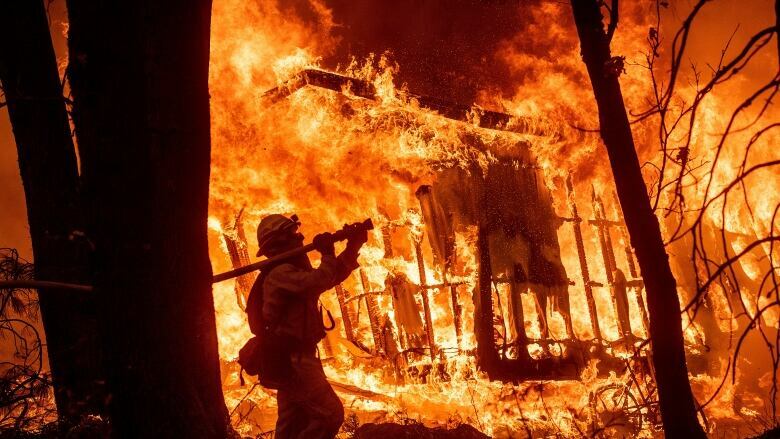 On Thursday, the state agency responsible for fire protection, Cal Fire, cleared PG&E for the deadly 2017 Tubbs fire in California, but the company's culpability in the 2018 Camp Fire has yet to be determined. "They reported that one of their power lines was having a disruption 15 minutes before fire investigators say the Camp Fire started, so that doesn't bode too well for them," Brown said. In a separate investigation, state officials found the company's equipment was responsible for at least 17 of 21 major fires in the region in 2017. While PG&E is among the earliest companies to blame climate change for its downfall, Brown says other businesses will not be immune to the future costs of extreme weather. In fact, other major U.S. companies are already feeling that economic pressure. In a report from the Carbon Disclosure Project this week, Apple said that climate change has already affected their infrastructure systems, operations, and human resources, noting that some of its workers were forced to relocate when their homes were destroyed by Hurricane Harvey. "I think you're you're going to start seeing Wall Street and corporations and institutional investors be more aggressive about how climate change could potentially impact their own companies," Brown said. If the bankruptcy goes through, PG&E has said the lights will stay on for their customers, but there's no guarantee that rates will stay the same. Legal fees and other associated costs could be passed onto Californians — meaning higher bills. "It's kind of unfortunate because no matter the way the scale tips, the burden is on the rate payer ... the victims of the fire," Brown said. As climate change leads to more powerful natural disasters and extreme weather, PG&E says that bankruptcy is "the only viable option." But the move to bankruptcy has been criticized by those who say the company is using climate change as a cover for its own negligence. In 2016, the company was convicted of six felonies after the explosion of a natural gas pipeline it owned killed eight people in 2010. "Skeptics would say that, yes, climate change is real, but PG&E is perhaps using climate change as a little bit of an out," Brown said. "They're [the critics] trying to say that their equipment could actually be negligent, right? It's not just climate change." But even if they're not found at fault, a state law known as inverse condemnation, unique to California and Alabama, could leave them liable, Brown says. "The law allows a company like PG&E to be held liable even if they weren't negligent, even if they adhered to all of the state's rules, they could face some hefty fines for their role in the fires," she added. To hear the full interview with Courtenay Brown, download our podcast or click 'Listen' at the top of this page.